A Stamina consumption event from March 8th - 14th, will give the chance to players to win amazing rewards including Gold, Mount Card Shard, Crusade Token, Endless Trial Scroll, Dragon Stone and Enchantment Card Chest. If players log in the game on March 8th, they will be able to collect Diamonds, Gold and Material Packs on the reward page. A recharge event will be open during March 8th - 10th. Players will double the amount of Ambers they obtain if they recharge 1000 or 10000 Ambers. Last but not least, the official Facebook page will launch a Wheel of Fortune event where users can win rewards every day during the event time! Also, there will be more events in-game to win more amazing rewards! Join us on our second anniversary and prepare for the new server. Remember to Like and Share our fan page and rate our game with 5 stars! 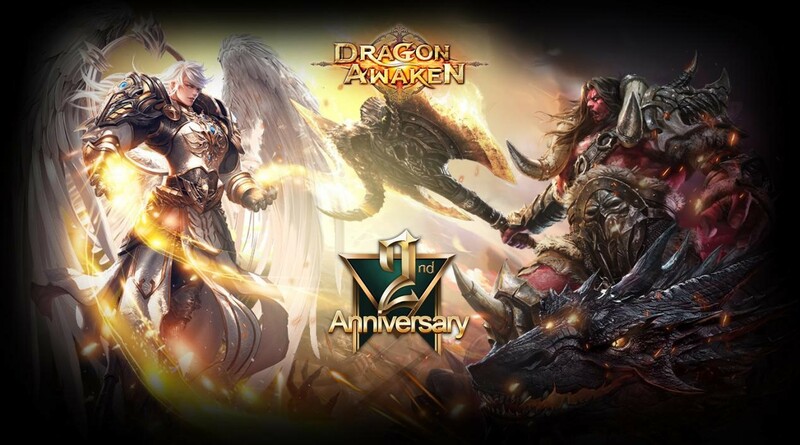 Let's get into the world of warriors and dragons, and to be the greatest dragon masters in Dragon Awaken!